Andrew Chesney is sworn in as State Represenative for the 89th District by Chief Judge Mike Bald. 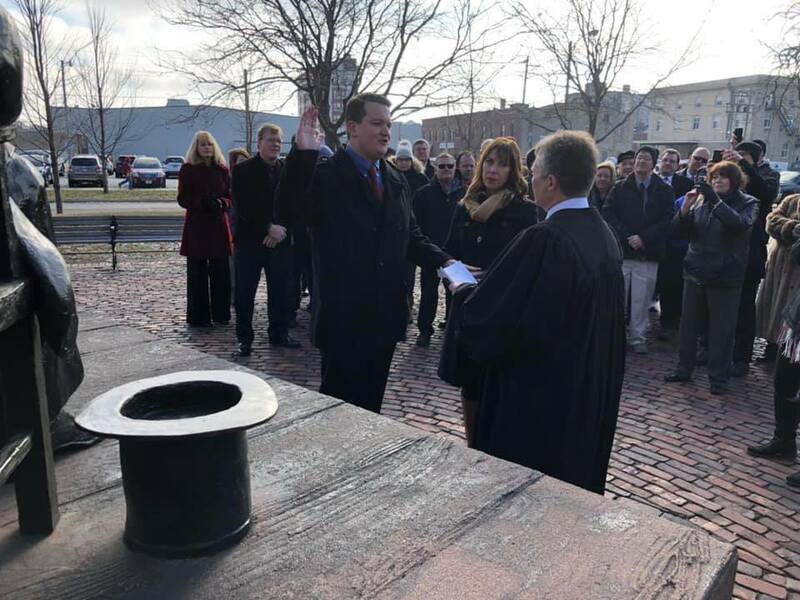 Andrew Chesney was sworn-in as State Representative of the 89th District on December 5, 2018. He fills the seat vacated by Rep. Brian Stewart. At the same ceremony, Stewart took the oath of office becoming the Illinois State Senator of the 45th District. Stewart replaces Senator Tim Bivins who resigned earlier this month after 20 years of service.